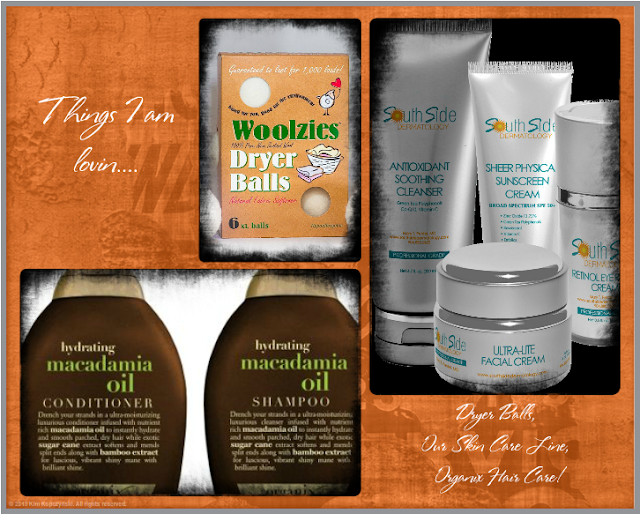 Thing's I'm lovin....Organix, Skin Care, Balls! These loving's are few compared to the tons I usually list but I haven't tried to many new things lately. I will have to change that this week! My hair feels so amazing! Soft, shiny, and smells super yummy!! The conditioner is my favorite! Goes on like a cream but coats like an oil. Then rinses clean leaving my hair feeling awesome!! I will be trying other Organix products very soon!! Our skin care line at work. This line is awesome and has a great price tag on it as well! I have been using it for about two months now and I am loving it! Keep an eye out!! Our facebook page, this blog, and my buddy Jenna's Page over at Life is Sweet will be having a giveaway for a skin care kit giveaway. If you win our Aesthetics department will give you a kind of quiz about your skin type and select the products you will need! How awesome!